Lucy Fletcher joined QuadReal in June 2017. As Managing Director, International Real Estate Portfolio, her work with QuadReal focuses on international portfolio strategy. With extensive global advisory and asset management experience, Lucy brings a deep knowledge of market trends and strategy to the QuadReal leadership team, having been directly involved in over $12 billion worth of global real estate transactions. 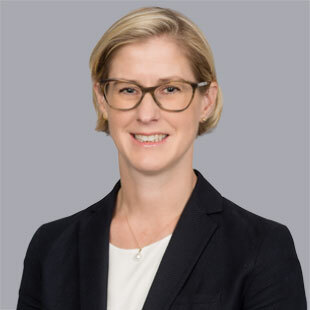 She was formerly Managing Director of JLL, where she was responsible for facilitating cross border investments and advising institutional clients on international strategies for both debt and equity capital transactions. Previously, she held senior asset management positions with Merrill Lynch (Asia Pacific) Limited and New Star Asset Management. Lucy holds an MA (Hons) in Architectural Design from University of Edinburgh and a Postgraduate Diploma in Estate Management from South Bank University, London. She is a member of ULI’s Responsible Property Investment Council and has served on the RICS board in the Midwest and BC. Lucy is excited to work with the best in class team at QuadReal to strategically grow a high quality diversified international investment portfolio.